Mequoda is a term to describe a method for designing and managing successful multiplatform membership websites. Short for “media quote daily,” Mequoda is an approach to building these membership websites based on four core principles—ACEM in Mequoda-talk. Every publisher can leverage its principles for growth in all areas of business. ACEM doesn’t exactly roll off the tongue, but once you understand the concepts, I think you’ll agree that each principle is necessary to transform a small struggling publication into a multiplatform giant. Make no mistake about it, becoming multiplatform—where you publish across print, digital and through a free membership Portal—is precisely the direction you need to head in to accomplish such growth. Attract: Getting visitors to your website is step one in building a successful online business. Mequoda’s clients and content partners deploy methods that use Search Engine Optimization (SEO) as a key strategy for driving organic traffic, based on a thoroughly researched keyword-phrase universe and perfectly aligned content. Repurposing and optimizing existing print content is also a successful tactic for making your website SEO friendly! Capture: Once new visitors arrive at your membership website, capturing their email addresses is the next challenge. And there’s no better way to entice site visitors to hand over email addresses than offering a free report or guide that is aligned with visitors’ topic interests. Maximizing email-capture rates is best achieved with appropriate conversion architecture on your site’s pages. Engage: Once you’ve attracted site visitors and captured email addresses, keeping them engaged with your content is the next challenge. Mequoda’s clients and content partners achieve maximum customer engagement and retention rates with regular and powerful email communications—email is the linchpin of any successful Mequoda Haven CMS. Monetize: Now you have a relationship with email customers, and you’re poised to sell, sell, sell! Every email communication is a chance to feature your membership website and advertisers…and to offer your customers an opportunity to buy whatever you have—memberships, books, videos, reports, events, and more! Mequoda clients and content partners use this methodology and system to transform their businesses into niche media brands that dominate their markets. Do you want to learn more about practicing ACEM to increase your audience, revenue and profits with multiplatform publishing? Download our guide to multiplatform publishing for magazine and membership-based organizations. 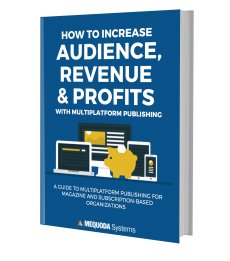 How to Increase Audience, Revenue and Profits with Multiplatform Publishing is FREE to download and will show you how to achieve the same success as our most profitable publishing clients and content partners. Download it today. 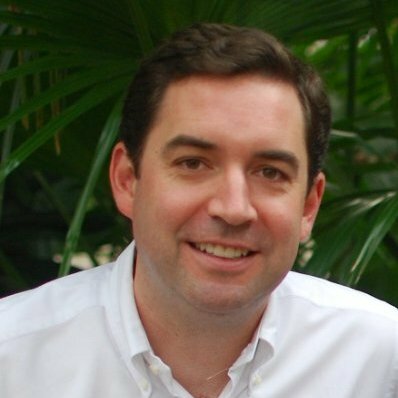 Tagged with cms, content, content partners, cxms, email, email capture, high quality content, magazine, media, membership website, Membership Websites, mequoda, multiplatform, multiplatform publishing, organic traffic, portal, publishers, Search Engine Optimization, SEO, subscription marketing, subscriptions.